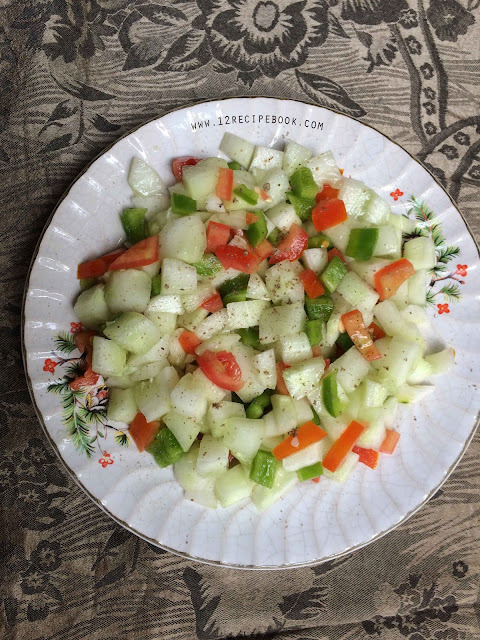 A simple and refreshing salad with cucumber. Peel and slice the cucumber in to your favorite method and toss them with other chopped veggies and simple dressing. Include this simple salad in your daily diet (especially on summer) and it has numerous health benefits. It keeps you hydrated,flushes out toxins from your body, Aids in weight loss, reduce the cancer risk, etc. Toss all the ingredients well in a bowl. Serve soon the refreshing salad! !